LANCASTER – Antelope Valley Hospital is urging eligible donors to give the lifesaving gift of a blood donation during the holiday season, a time when donations decline but the need for blood remains constant. All of the blood collected at the AVH Blood Donor Center is used for patients at Antelope Valley Hospital. Each donor will receive a free cholesterol test and a free T-shirt (while supplies last), through Jan. 31, 2019. Donors must be 17 years old and must weigh at least 110 pounds (16-year-old donors are welcome with a signed parent consent form and must weigh at least 120 pounds). Donors must be in good health with no illness or unstable health conditions. All first-time donors must present a driver’s license or state ID. The donation itself takes about five to 10 minutes, but donors should allow one hour for the whole process. Donors are advised to have a meal and drink extra fluids before donating. 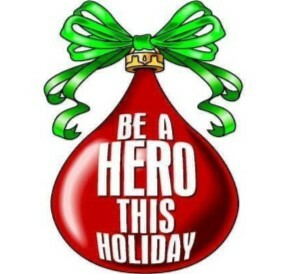 The AVH Blood Donor Center is located at 44105 15th Street West, Suite 305, in Lancaster. The center is open Tuesdays and Thursdays, from 9 a.m. to 6 p.m.; Wednesdays, from 7 a.m. to 4 p.m.; and the first and third Saturday of each month, from 8 a.m. to 1 p.m. Walk-ins are welcome, or donors can make an appointment by calling 661-949-5622. The Blood Donor Center will be closed Dec. 25, 2018 through Jan. 1, 2019. 2 comments for "Blood donors needed this holiday season"
If California blood banks payed donors like Oklahoma still does today, we would have an abundance of blood for emergencies. Or at least if I’m a continuous donor in the event of an emergency and I’m in need of a transfusion then I should not be billed for the blood I used. A can of juice and cookie just wont get more people to come. Let’s not forget those who come into the ER with gunshot and knife wounds.